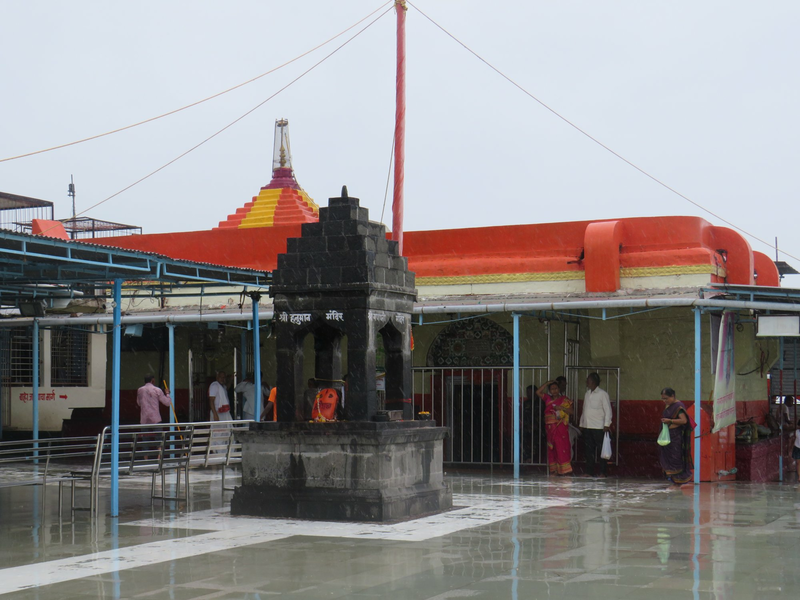 Mahurgad, also known as Mahur, is a city close to Nanded, which is quite prominent for its temples. 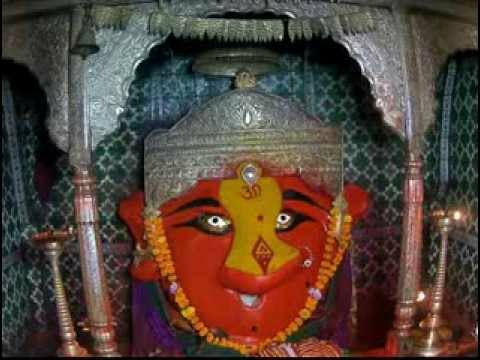 Mahur is famous for Renuka Devi temple and very few people are knowing about Ekaveerikadevi temple and mostly they call Renukadevi temple as shaktipeeth. It is said that Ekaveerika Devi is the elder sister of Renukadevi. Renukadevi temple is 800 years old. Renukadevi is the mother of Lord Parshuram. Hence Mahur is also known as Mata Pur. It is also the birthplace of Lord Dattatreya. A big fair is held here every year during Navratri festival. In Mahur also are the ancient temples of the goddess Anusaya, goddess Kalika and others. Mahurgad fort is two and a half kilometres away from Mahur. It is a land fort built in the 12th Century. According to historians, when Goddess Renuka was killed by her son, Parashurama; her head fell on the same place where the temple is currently located. Renuka was later given rebirth as a boon by Sage Jamadagni to his son Parashurama. Ekaveerika ShakthiPeeth is a small shrine with one hall and a Sanctum Sanctorum. Only the head of the deity is here. Ekaveerikamata is the elder sister of Renuka Devi, the wife of Sage Jamadagni. EkaveerikaShakthiPeeth is a seat of Tantric worship. People offer Bali to Devi and is on the hilltop. Sage Jamadagni is also present in the temple in the form of a Shiva Ling. The temple was built by Yadava King of Devagiri in the thirteenth century.Pan and Supari are offered as Prasad to the deity. The nearest railway station is Kinwat which is 50 KM away, but Nanded which is 126 KM. is the more convenient railway station on South Central railway. Mumbai - Ahmednagar - Paithan - Jalan - Washim - Pusad - Mahur, 717 kms. Mahurgad - Kinwat, 50 kms. Mahurgad Fort, Mahur Caves, Dattatreya Temple, Anusaya Temple, devdeveshwar Temple, Parshuram Temple, Pandav Leni, Mahur Museum. Located in the western most part of River Godavari is the popular shrine of Takhat Sachkhand Sri Hazur Abchalnagar Sahib in Nanded. Kandhar Fort- is located in Kandhar Town in the district of Nanded. The Masjid of Biloli, also famous by the name of Hazrat Nawab Sarfaraz Khan Sahid Masjid, is a stone masjid constructed more that 330 years ago. Kandhar Falls- is situated at a distance of approximately 7 to 8 km from Valmiki. The temple is in the jungle and has a dome in the centre which is red coloured and stands on pillars which are bear white colour at the top and similar red colour at the bottom. It has an open space around the structure.There are arrangements for accommodations for which the visitors are charged a nominal rate, which encourages people from outside to come and visit the temple and also nearby places.People have a strong belief on Goddess Renuka Devi and mark a fundamental reason for the existence of the time even after so long.It is always recommended to visit this place once in life.